If your child isn't exactly fond of math, they're not alone. Most students dislike math because it is often the most challenging subject they have to deal with. To help make it a bit more manageable and less stressful, use these tips to help your child sharpen their mental math skills. A good way to make mental math fun while helping your child sharpen their skills is by turning it into a fun challenge. Look for worksheets that have to be completed in a minute and race against your child to see who can complete it the quickest and who has the most answers correct. Math tricks can make mental math a breeze. Look for different tricks that can make completing a problem less tiresome. For example, teach your child that any number multiplied by 10 will just need a 0 added to end of it. For example, 280x10 is 2,800. Simple tricks like this can help your child think faster, making math less intimidating. Practicing math doesn't mean pulling out a textbook and completing problems. Math practice can also involve games and other fun activities that don't feel like work. Look for board games that the whole family will enjoy that include some math practice, such as Monopoly. Have your child be the banker so that they can practice their addition and subtraction skills. You can also download math games onto your tablet so that your child can play these while they're out running errands with you. 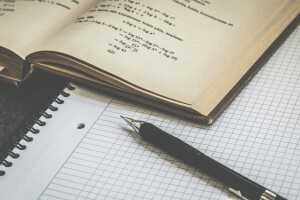 Math is a tough subject for many, so if your student needs a bit of extra help mastering this subject, enroll them in tutoring in College Station. Check out all of the academic programs offered at The Tutoring Center, College Station TX and learn all about how these can help your child succeed. Give their learning center a call at (979) 402-1033 to learn more.